Imagine you’re planning a road trip across the country with your family. You’ll most likely be relying upon your “trusty” motor vehicle, excuse the pun. If you’re over the age of 25, you’ll most likely take some steps to make sure it is in top operating condition. After all, as we become more responsible, and with young ones depending on us, we become less likely to hop in that rust bucket and take off. Woo-hoo! Most people would agree that bringing your motor vehicle to a qualified mechanic prior to your trip is a good idea. But what if cash feels a bit tight and it just seems pricey or too complicated to have an experienced mechanic look at it? You could whip out your user guide, followed by some on line research, dust off your tools and give it go. For some, depending upon your mechanical ability, this idea might appear more feasible than for others. However, in today’s high tech world, where every car has an on board computer network, would this EVER be a good idea? This same principle applies to your estate planning and is why self help or “do it yourself” estate planning strategies are NEVER a good idea. It is easier for most people to understand risk and complications when we are talking about being stranded in a vehicle (with angry passengers) in some remote location. However, have you considered the implications of stranding your loved ones with incomprehensible do it yourself (DIY) estate planning? Sure, you may not be around, yet your loved ones may be every bit as angry nonetheless. Unfortunately, it may actually be easier to do your own estate planning than to conduct your own maintenance on most vehicles these days. In this age of self help, there is an ease of access to various kinds of do it yourself estate planning tools. This ease of access to canned documents is somewhat misleading by suggesting that using these “canned documents” is a reasonable alternative to traditional legal services (i.e. speaking with a qualified expert about your estate plan). While it may be true in theory that an attorney MAY start out with a form of some type, (some attorneys more so than others), in practice the vast majority of attorneys know to work with the documents and thus will usually make much needed changes to the forms. Skilled attorneys that work regularly in estate planning use sophisticated software that costs thousands of dollars and is backed by a separate team of legal scholars. This software is generally updated annually to include any changes in the law. 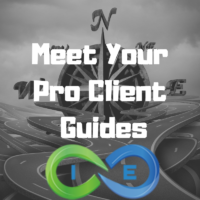 So, when you hire a professional for estate planning, you’re getting at least two layers of support beginning with the legal team that administers the software, and followed by your hired estate planning attorney. And we haven’t even talked about the skilled professionals who work in the estate attorney’s office. The professional estate planner understands that a primary purpose in their role is to spot legal errors, weed them out, and organize your estate documents in a way that accomplishes your desired outcome. Boiler plate documents that are the product of do it yourself (DIY) estate planning offer NONE of the above safeguards and may even go for years without updates depending on the provider. Certainly, these providers have zero interest in making sure you’re documents are correct, as the numerous website disclaimers attest. Of course, another aspect to do it yourself (DIY) estate planning is that the plan may NOT INCLUDE all of the necessary documents that support a good estate plan such as a durable power of attorney. A trained expert is needed to explain how the various components of a complete estate plan can and should work together. One of the markers of an experienced estate planner is that he/she will know the questions to ask that you haven’t thought of yet. The cynic might suggest that this is uncommon OR that these questions do not matter, and they would be extremely wrong on both counts. Questions that one may not think about often pertain to blended family concerns such as second marriages with children from prior marriages OR children or parents with special needs. Other circumstances such as drug abuse of a beneficiary are also common and these can be a specific as the person doing the planning. Often, such questions lead to more questions, uncovering planning priorities that needed to be explored and discovered. After protracted discussions with the Jones (fictional client), it becomes clear to the estate attorney that the wife’s mother will have nowhere to go if something were to happen to the couple and that this would likely cause conflict for her and other family members. Proper measures, such as providing a “life interest” in certain assets to be held in trust and a later special needs trust for mom’s support are highly recommended. Titling assets properly is a huge part of estate planning. Real estate assets need to be recorded in the local county recorder’s office as part of the process of documenting ownership. When an estate plan using a revocable trust OR an irrevocable trust is prepared, real estate will need to be transferred to the trust. If this fact isn’t entirely missed during the do it yourself (DIY) estate planning process, it will most likely NOT be handled correctly without getting a qualified attorney involved. This is an area where titling mistakes are MUCH more costly than if a professional had been used the first time because “unwinding” title issues is much more complicated that preparing proper deeds and other transfer documents right the first time. Similarly, bank accounts, beneficiary designations on life insurance and all other assets should be either titled in or pointed to the trust. Digital estate assets are also becoming a huge concern and should be considered as part of the estate planning process. If addressed at all by the do it yourself crowd, this detailed area is left for you, or your loved ones, to figure out. Susie Jones (fictional daughter of deceased) has been dealing with the emotional fallout resulting from the death of her mother, who had survived her late father by a few years. Now Susie has been surprised buy her new probate attorney to find that her mother’s home was never titled properly in the trust. In the state where the property is located, a special petition is now required that will take several months and several thousand dollars to transfer title to the trust. Susie’s stomach churns as she thinks about breaking the news to the potential buyers that the home will not be available for sale for up to six months. Good estate planning attorneys should be tuned in to the dynamics of family relationships and this includes having sense of brooding conflicts from parent to child or between siblings. Of course, it is common for parents to have favorites and this OFTEN results in the favorite being put in charge over the others. Of course, this scenario is fertile ground for resentment and sets the stage for an expensive estate litigation that can badly deplete the estate. Naturally, unequal distributions of the estate between children is an other area that fuels resentment and potential litigation. Another very common area of conflict resulting from do it yourself (DIY) estate planning, (and this goes back to asking the right questions), is trusts and estate plans involving spouses of second marriages and children from the first marriage. Things can turn sideways even where the relationship was okay during the deceased parent’s lifetime. Grief and money sets the stage for all kinds of conflict if not dealt with properly, and in the world of estate litigation, conflict is expensive. Tommy and Susie (fictional siblings) haven’t got along since childhood. Let’s just say Tommy is a bit of a “black sheep” and he thinks Susie is a bossy (expletive). Now mom and dad have passed and Susie is in charge. She thinks that she knows what’s best for the estate (and Tommy) and she tells him so. Only Tommy is all grown up and has a lawyer…it’s payback time. Frank and Tina (also fictional) have always been close siblings. When dear old dad remarried 20 years ago following mom’s death, they thought he was being irresponsible and this issue was never really resolved. After all, she’s 20 years younger (a few years older than Tina) and snooty as hell. Now dad died and guess who is in control of the estate…our beloved step mom. The problem is, she hasn’t been very cooperative in providing information to Frank and Tina. Frank picks up the phone and dials an old classmate with the title “Esq.” after her name. All of the above do it yourself (DIY) estate planning problems actually tend to make lawyers happy because these miss steps can generate significant legal fees. It is all to common for a probate to be required when assets were not properly transferred to a trust and this can result in major unplanned legal fees. When his father was alive, James recalled that he’d bragged one day about not “wasting all that money on those crooked lawyers”. He’d told James that he’d done his own living trust on line for $250. At the time, James had been a bit skeptical, but dad’s enthusiasm was contagious. He now stares down at the estimate of legal costs for a probate, needed because the trust wasn’t “funded” properly and also was not clear in how the distributions are to be handled. The probate will run in excess of 3% of the estate. The house alone is worth $500,000. James declines to do the math. In the examples above, we see confusion generated by incomplete form documents and lack of clear explanations in the documents. This is a problem that should be expected with ALL diy estate planning because the people doing the planning simply have NOT been trained to write in sufficient detail to facilitate a clear plan. This is a skill that attorneys generally work for years at before developing true expertise and effectiveness. Legal complications, added expenses and legal conflicts are ALL demonstrated above in the asset titling example and this kind of scenario, where assets were NOT titled in a trust, is extremely common. Any asset that is NOT properly titled will generally require additional expensive legal procedures and this kind of problem should be expected with do it yourself estate planning. These unintended consequences are ALSO demonstrated in the above examples about litigation risk due to conflicts between step parents, children and siblings. Expect that do it yourself (DIY) estate planning will do nothing to anticipate or prevent such expense inducing complications. Emotional turmoil is the result of all of the above, because when unanticipated complications and costs arise, the grieving process may be temporarily or even permanently bypassed due to the need to put aside emotions and attend to pressing business and legal concerns. Understand that do it yourself (DIY) estate planning can conceivably damage family relationships beyond repair by creating massive confusion and generating needless disputes during very vulnerable times.